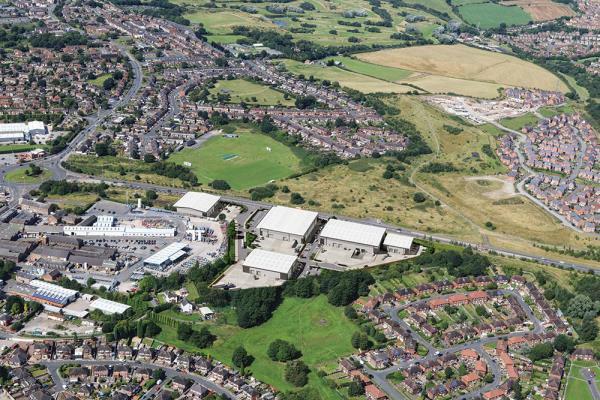 As part of an initial project, Stoke’s city council plans to extend fibre connectivity to the Ceramic Valley Enterprise Zone, a 140 hectare site that is being transformed into a tailor-made location to attract businesses. Swedish FTTH specialist VXFIBER has launched in the UK and claims its open access business model will provide a practical blueprint for local authorities to follow. Stoke-on-Trent City Council has already teamed-up with the firm in an effort to encourage competition among service providers whilst giving consumers wider choice. Through a public-private collaboration, VXFIBER partners with local authorities to invest and install their own high-speed fibre assets, what it calls the “passive layer” of the network. The company then provides the “active layer” which comprises all the equipment and network management systems. The council can use this layer to monetise its fibre investment and, according to VXFIBER, is no longer dependent upon established operators or ISPs to provide essential connectivity. Finally, the firm partners with service providers who can offer various products and services directly to the subscriber via a self-provisioning web-based portal – the “retail layer”. VXFIBER executive chairman Mikael Sandberg says: “We’re acutely aware of how underserved the UK is, with figures from Ofcom showing only three per cent of homes and businesses connected to full fibre. In mid-March, it was announced that Stoke-on-Trent City Council is partnering with VXFIBER to support full fibre broadband connectivity for residents and businesses. Under the scheme, the council will retain complete ownership of the municipal ring fibre network: it already owns the main ducts across the city and will utilise these to connect the network. As part of an initial project, the authority plans to extend connectivity to the city’s Ceramic Valley Enterprise Zone. This is a 140 hectare brownfield site that is being transformed into a tailor-made location to attract businesses. It is made up of seven key sites along the A500, and is so far said to have brought in more than 1,000 jobs. According to the council’s deputy leader Abi Brown, Stoke-on-Trent is in the top ten fastest growing economies outside of London and already have some of the fastest average 4G mobile download speeds in the country. It is also developing an innovative district heat network to supply sustainable energy to business and residents. Last September, the council started the first phase of a project that will see it lay four kilometres of underground pipes around the University Quarter. When completed this year, businesses and households will have the potential to connect to the network and receive low maintenance, affordable heat, without the need for gas boilers in their properties.